Produced by Dreamscape Digital exclusively for iWant, ABS-CBN’s new streaming service, “Glorious” revolves around Glory (Angel), a 52-year-old woman who falls in love with Niko (Tony), a guy 30 years her junior. They start a risqué May-December love affair, but will struggle to keep their relationship intact amidst social disapproval and judgment. The full trailer has tallied more than six million views on various Facebook pages after it was released Sunday (November 4), as netizens raved about its steamy scenes featuring Angel and Tony. The names of the two stars also trended on Twitter as netizens and various celebrities, including Broadway diva Lea Salonga, posted their enthusiastic reactions to the trailer. Lea posted on her Facebook page, “So, I just saw the sexiest movie trailer I’ve seen in a long time (it’s reached over 1M views in the last 3 hours, so far). But, beyond the love scenes its protagonists do, allow it to begin a conversation about seeing older women and younger men on screen. 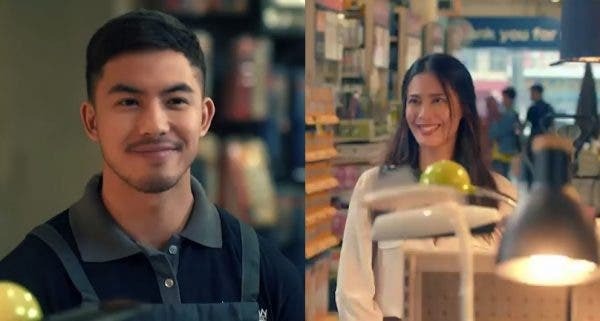 Given how utterly beautiful both Angel Aquino and Tony Labrusca are, I am all for it, and wish for their movie Glorious to be a massive hit. “Glorious” is written and directed by Concepcion Macatuno and is produced by Dreamscape Digital exclusively for the new iWant, which can be accessed via iOS or Android app starting November 17, 2018.